ALCOLOCK is committed to offering top quality products and services. We go beyond offering ignition interlock devices, and we don’t resell existing models. Instead, we chose to immerse ourselves in the industry, developing a wide range of our own products and services. Over the years, we’ve grown to become recognized experts in our field. We’ve remained at the top of our industry by developing best-in-class products that span the entire spectrum of products, from lab equipment to devices that aid program facilitators, to the devices and tools the driver will need to complete their program. The ASIV Mouthpiece is one of the quality products we offer to help make the road to license reinstatement easier for everyone involved. 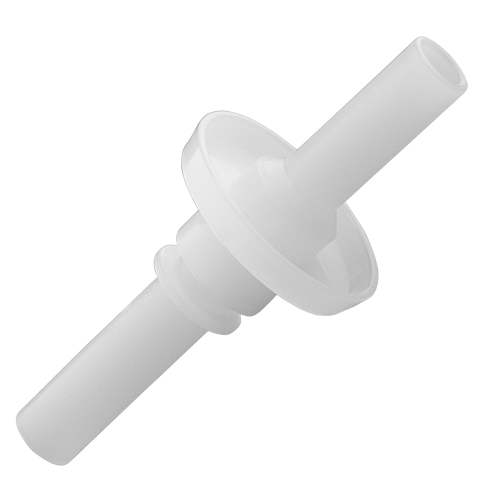 Our ASIV Mouthpiece is compatible with ALCOSENSOR IV and RBT IV breath testing devices. You can use the ASIV Mouthpiece with either of those devices, but it may not work with other testing devices. When using our mouthpieces, it’s important to make sure that you find the mouthpiece that is compatible with your particular device. Always follow instructions and ensure a snug fit so as to ensure accuracy. Always clean your mouthpiece and change them out as directed to ensure sanitation and limit false positives or other errors. The ASIV Mouthpiece is durable and made from high-quality materials to ensure long-lasting comfort and accuracy when testing. Here are some of the things our customers love about this mouthpiece. ALCOLOCK’s ASIV Mouthpiece is just one of the many accessories and products we’ve developed to help you reach your goals. Whether you’re a driver looking for ways to more efficiently complete your program or a facilitator seeking to expand upon your existing line of product offerings to better serve your client base, we have many options that can help. Visit our shop to find even more outstanding products and services developed with you in mind.